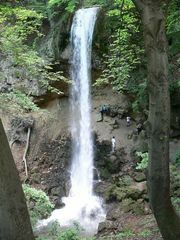 Miskolc is located in the northeast region of Hungary in the valley of the river Sajo. The Bukk hills, adjacent to the city, are not only a favorite hiking place for many but also hide limestone caves of outstanding beauty (Anna Cave and St. Istvan drop cave). We like to think that Miskolc is the second largest city after Budapest and it was for a while until Debrecen claimed that title. We still have a prettier landscape! The first archeological findings of human settlements are from over 70,000 years ago from the Paleolithic age. The Conquest of the Hungarian tribes resulted in new population with the leadership of the Miskoc clan, hence the name Miskolc. 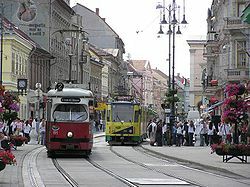 Miskolc was elevated to the rank of town in 1365 by King Louis I. The castle of Diosgyor was an important royal center, originally begun in the 13th Century and modernized by Louis I. If you are interested in architecture and history, walk along the “Main Street” (Szechenyi utca). This is our walking street, where only the street cars and pedestrians are allowed. You will find the Szechenyi bath with its unique glass dome, in the background the Avas hill with its famous 15th Century Gothic wooden church. If you climb the hill Avas, you can get a good view of the whole city from the Avas TV tower that is located on the top of the hill. Visit the first stone-built theatre of the country located on the main street. Visit the open-air summer festivals at the castle of Diosgyor. They range from classical concerts, to folk festivals, from medieval days to theatre productions. It is a fantastic way to spend a summer evening under the starry sky, surrounded by historic ruins. My favorite ones from the past include Shakespeare’s Hamlet where the director used an actual tower of the castle for the ghost to appear on – amazing visual effect!-, the International Folk Festival hosted by the famous Kalaka band and Lovagi Torna days which is similar to our Renessaince Festival. 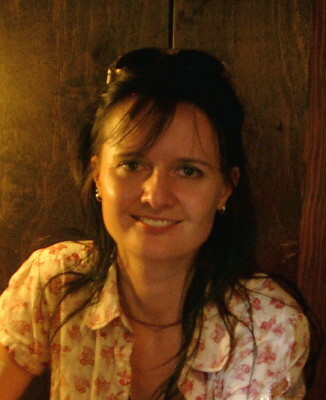 All Miskolcians know that the rock band Edda Muvek is originally from Miskolc. Reteskek Café (Városháza tér 3) is my favorite place for the strudel-like pastry „retes”, a Hungarian specialty. It comes with poppy-seed, cherry, cottage cheese or even cabbage fillings. This small cafe is found in downtown, on the walking street and has live music on some nights of the week. My favorite hiking place is Lillafured. Lillafured is about 20 minutes driving from the city-centre. There are several marked hiking trails that lead you around the ridges of the Bukk hills showing breathtaking views of the Palotaszallo (Palota Hotel), cliffs and wooded hills. Lillafüred Forest State Railway is a cute little train going around and about the hills of Bukk. In the summer it has open cars and it goes slow enough that you can see wildlife. In the winter they run enclosed cars. I can still remember the coal stoves that heated up the wagons. Fun and smelly(!) memories! There are tunnels where you are supposed to scream – it gets very loud. 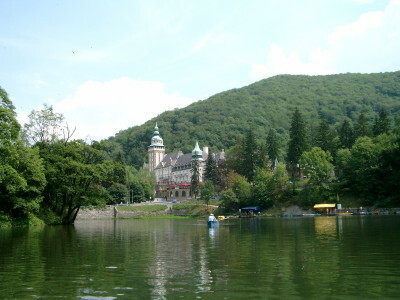 When you arrive at the station in Lillafured all kinds of fun await you: the highest waterfall in Hungary, the Istvan Cave, and pedaling on the lake in front of the Palota Hotel. Tapolca is another favorite tourist attraction for those who like bathing. 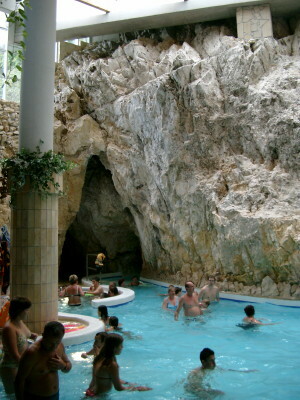 The Tapolca Cave Bath and Spa is internationally famous. 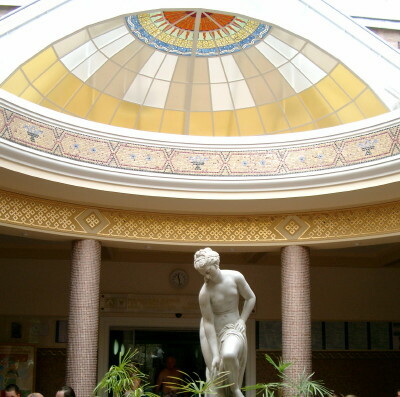 The thermal bath is built using a natural healing water and a natural cave. You can walk or swim in the maze of cavities of a real cave! The lighting of the cave adds to the unique aura of the experience. There is one „room” that looks like you are out in the open with the sky’s constellations over your head. the fairy laughter spouts out on your teeth."